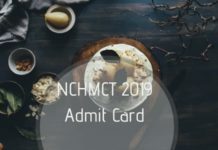 NCHMCT JEE 2019 – NTA has issued admit card for NCHMCT JEE 2019 on April 03, 2019. The candidates can download their NCHMCT JEE 2019 Admit Card by online mode, from the link below. To download it, the candidates need to log in by entering their Application Number and Password. NCHMCT Joint Entrance Examination (JEE) 2019 is scheduled to be April 27, 2019. It is a national level entrance exam which has been taken over by NTA from the year 2019 onwards. Till last year, the exam was conducted by the National Council For Hotel Management and Catering Technology (NCHMCT), for admission in 3- years B.Sc. 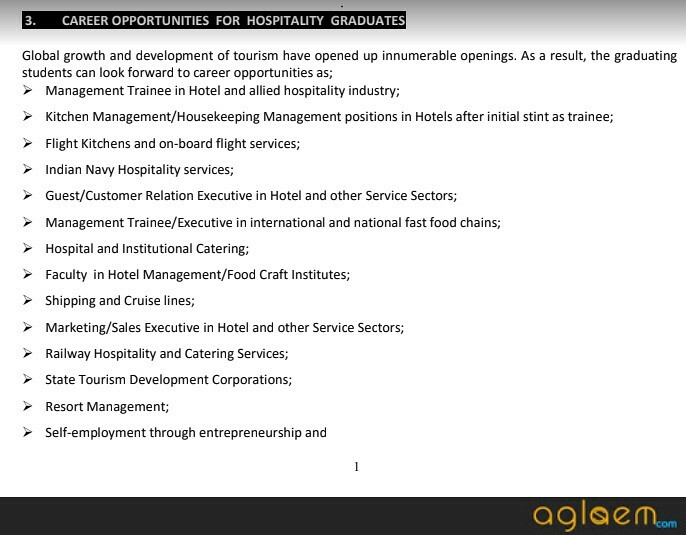 in Hospitality & Hotel Administration in 63 IHMs. 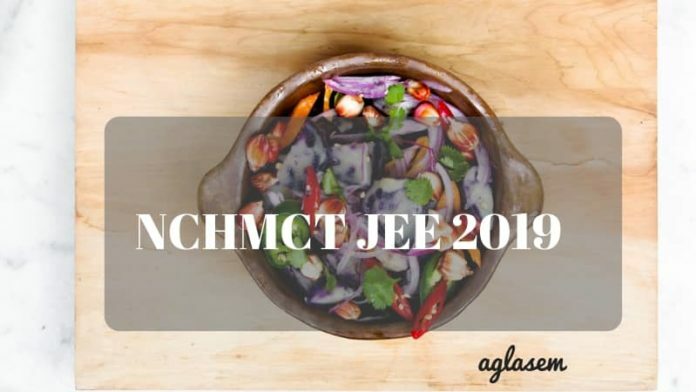 Check more details on NCHMCT JEE 2019 from this page. Latest: NCHM JEE 2019 Admit Card has been released. Download Here. Candidates who are willing to apply for the test must go through the eligibility criteria required to apply. The dates regarding NCHMCT has been released by the National Testing Agency. The candidates can check the complete schedule from the table below. Recommended: Click Here to check the NCHMCT Sample Papers. All those candidates who will apply successfully for the examination will be provided with the admit card. It is a must to carry this admit card to the examination center on the date of examination. Candidates will have to download the admit cards from the official website. Registration Id/User id and password are to be submitted in order to obtain the admit card. Note: The admit card hence downloaded should be two in number and both are to be carried by the candidate to the examination center. One admit card will be submitted at the time of examination and the other to be signed by the invigilator and kept for counseling. 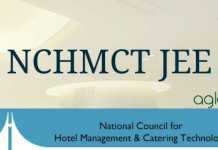 The NCHMCT examination is one of the major examinations in the field of Hotel management in India. The examination will be conducted in 33 test cities in the country. Candidates are to choose from the examination centre that will be provided n the application form. It is very important to choose the examination center wisely. The list of examination centers as per last year’s information is given below for candidates. It is important that the students should be well familiarized with the exam pattern of the entrance examination. For example, now the NTA is conducting NCHMCT JEE 2019, the entrance exam is now a Computer-based test. Other than the mode of the examination, the NTA has specified that the exam pattern, distribution of questions, etc remain the same. The marking scheme for each subject is same as provided below. Marking Scheme: The marks allotted for every correct answer is 4. For each incorrect answer, the marks deducted is 1 and for every Unanswered question, the marks deducted is 0. NTA releases the Response sheet and answer key for candidates taking NCHM JEE-2019 examination. Candidates can check their recorded response and answer key on the official website www.ntanchm.nic.in. In case a candidate is not satisfied with the any of the answers in the official answer key he/she can raise an objection by filling an online application form and paying a processing charge of Rs.1000/- per question. The fee can be paid by credit/debit card/net banking which is non-refundable. The NTA’s decision on the challenges shall be final and no further communication is entertained. The Result for the NCHMCT examination is assumed to be declared on 15 May 2019. The candidate appearing for the exam can check their result online on the official website itself. In the case of candidates securing equal marks in NCHM-JEE, as well as in English component of NCHM-JEE, then the candidate securing higher marks in Service Aptitude Component of NCHM-JEE shall rank higher. In case of a tie in (i) and (ii) above, the candidate older in age shall rank higher. Once a candidate has taken the NCHMCT JEE 2019 exam they get a raw score that is the result they obtain in the exam. On the basis of the raw score, an NCHM Score issues and provided to candidates. The result and score of the candidates are provided to them only after the release of the final answer key. Scorecard needs to be downloaded and no candidates receive their scorecard through the post. It must be noted that any re-evaluation of the paper is not entertained by NTA. 1st to 500 rank holders from Board of Examination where 2 lacs to 5 lacs candidates take the examination. The candidate must have stayed in a foreign country for at least 05 years and completed 10+2 level from a recognized board. Should have passed 10+2 system of Senior Secondary examination or its equivalent from a recognized board/ institution with English as one of the subjects. Should have secured not less than 50% marks in aggregate. Those appearing for the qualifying examination can also apply provisionally. The age of the candidate should not exceed above 25 years as on 1st July of the admission year. 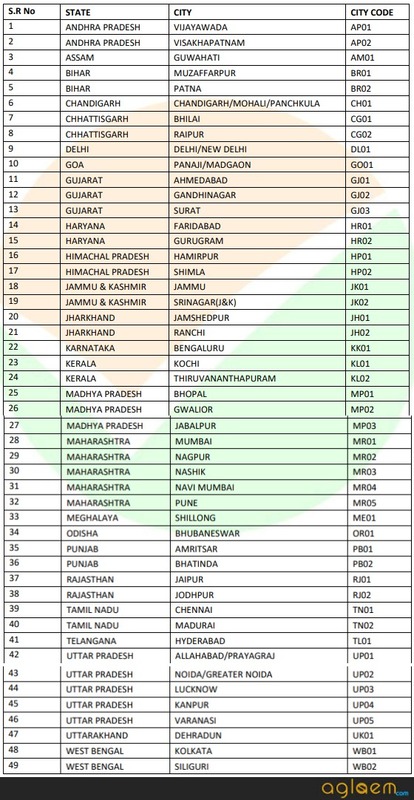 The number of seats available per Institute is given in the tables below for candidates to check and apply for the desired Institute. The admission is given as per the cut-off by these institutes. The counseling process for NCHMCT 2019 conducts after the declaration of result. Candidates are called for the counseling round s per the rank in the merit list. The authority present at the center for the counseling round verify the documents of the candidate. There are no counseling charges to be paid by the candidate, but a seat acceptance fee of Rs.40,000 is to be paid by the candidate. This seat acceptance fee Includes 39,000 as a part of the first-semester fee and 1,000 as counseling charges. The fee structure for all the government institutions is provided in the table below. The fee structure for private institutes are not really fixed and can be checked directly from the official website of the institution. Seats are reserved for candidates belonging to some categories. As per the Rules of the government of India, some categories have seats reserved for them. The percent of seats reserved for candidates from these categories in NCHMCT are listed below. SC/ST: 15% seat is reserved for the Scheduled Caste and 7.5% for the Scheduled Tribe. Kashmiri migrant: One seat in each central and state government-affiliated IHM is reserved for migrants from Kashmir. The Application form for NCHMCT 2019 was made available online at the NTA official website from January 15, 2019. The aspirants who had to apply for the entrance exam had to first ensure that they fulfill the eligibility criteria. The students first had to register for the entrance exam, only after which they were able to proceed to fill in details in the NCHMCT JEE 2019 Application Form. In the NCHMCT JEE 2019 Online Application Form, the aspirants had to provide the following details. Also, the aspirants should keep the scanned copy of their passport size photograph and signature ready as they shall have to upload it in the online application. Finally, to submit the form, the candidates had to pay the application fee as decided by NTA. It is clarified that the entrance exams which are covered under NTA, there are certain changes in the application fee. Hence, the Application Fee for NCHMCT JEE 2019 can be checked from the table provided below. The application fee were paid through online mode that is by using a Credit card/ Debit card or net banking or the candidates can pay the application fee using an E-Challan also. As per the information brochure, applicants do not get the window to edit the details in the application form. The candidates can’t make the necessary correction in the NCHMCT JEE 2019 Application Form. The window for online form correction is limited to edit the image only. The candidate needs to log in using the Application Number and Password to edit/ modify the image in the NCHMCT JEE 2019 Form. It is free of cost, however, the candidates must update the picture (if required) as soon as possible. 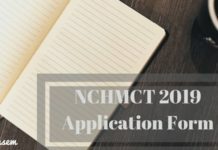 Candidate willing to apply for NCHMCT 2019 must be aware of the eligibility criteria required by the institution for admission. Before applying kindly go through the eligibility given below, only those candidates who are eligible should apply for the examination. Education Qualification: Candidate must have passed 10+2 or equivalent qualifying examination with English as the main subject. The candidate who is to take the examination in 2019 has to submit the pass certificate for the final admission at the time of counseling or at the time of admission or latest by 30 Sep 2019. Age Limit: Candidate who belongs to General or OBC category has an upper age limit of 25 years as on July 01, 2019. These candidates must have been born on or after July 01 1994. The candidate who belongs to SC/ST category has an upper age limit of 28 years as on July 01, 2019. Physical Fitness: It is mandatory for the candidate registering for the examination to submit a fitness certificate of carrying out practical classes as required in the Course at the time of admission from a Registered Medical Practitioner. Change in the Organizing Body – For the academic session 2019, the exam conducting for NCHM JEE 2019 has been changed. The entrance test will now be conducted by the National Testing Agency (NTA). It is a Central Government Agency, created by the Ministry of HRD, Govt. of India, to conduct all major Entrance Examination in the Country. Change in the mode of Entrance exam – The NTA has clarified at its official website that the entrance examinations which are being held by it will be conducted Online, i.e. Computer-based test. Hence, NCHMCT JEE 2019 has been changed from a pen-paper written test to Computer-based test. Direct Admission Offered – Until last year, it was mandatory for the candidates to appear for the NCHMCT JEE, however, NTA has clarified that it will now offer direct admission to two types of category candidates. The first category is Foreign Nationals (FN), Non-Resident Indians (NRI) and Person of Indian Origin (PIO or Overseas Citizen of India) student. Such candidates need not requires to appear for NCHMCT JEE 2019. The Second category is the rank holder Indian Nationals (not NRI or PIO) of the School board. Change in the website for Online Registration – Since now NTA will be responsible for conducting the NCHMCT JEE 2019, the candidates will now have to visit the official website of NTA, which is, nta.ac.in. Test Practice Centers – Earlier, NCHMCT JEE was a pen-paper based, however, now it will be a Computer-based test (CBT). To help the candidates familiarise with the working of the computer-based test, the NTA has started the test practice centers. The students first need to register for the TPC and then can report to any of the practice centers and take the mock test. 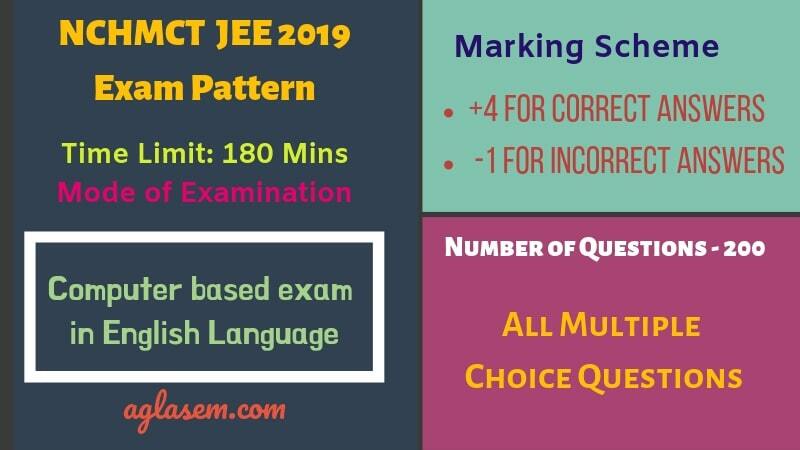 There is no change in the exam pattern and syllabus of the NCHMCT JEE 2019. Furthermore, the NTA has stated at its official website, that the application fee for the entrance exams which are being conducted by it will be the same as last year. Click here to check the notice regarding NCHMCT 2019 entrance examination. If you have any questions about the NCHMCT JEE 2019, then let us know in the comment section below.